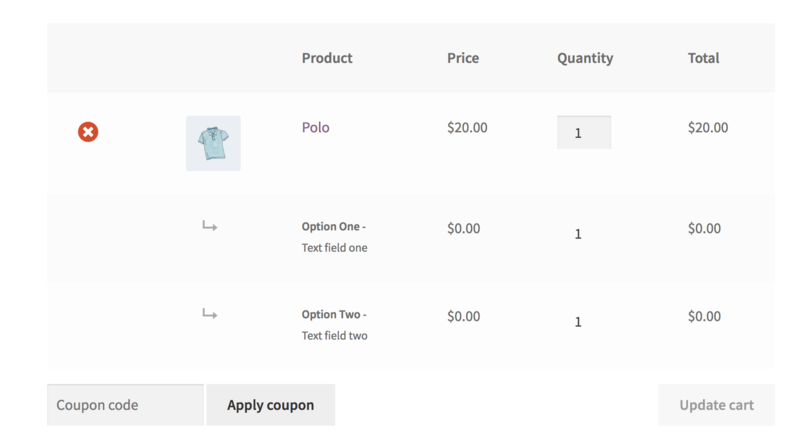 WooCommerce Product Addons version 3.0 was a major change and introduced some changes to how Addons are displayed in the cart. For some users of the extension this has caused many headaches and those users would just as soon these items were removed from the cart, especially in cases where the addons are really only for data collection purposes only and do not have any bearing on the cart sub-total or total. Download from this link. Install and activate. On a related note, the product count in the mini-cart also reflects the number of line items. There is an open issue for this and I would expect that defect to be fixed in a future release. In the meantime, you can use CSS to hide the mini-cart contents, but given the huge number of themes, that CSS will need to be written on a case-by-case basis an dependent upon the theme. Hello, I installed the ‘Remove PAO Line Items From Cart’ fix on our development site and it did not fix the issue of Table Rate Shipping calculating each add-on as a separate item and making the shipping rates incorrect.